A recent survey showed that 98 percent of dads would prefer a practical gift for Father's Day. If your dad is anything like mine, though, he will also probably tell you not to get him anything at all. Sports fans will love these gourmet dipped strawberries decorated like baseballs, basketballs and footballs from Shari's Berries. (Photo courtesy of Shari's Berries). Personalized "King of the Grill" grilling accessories from Personal Creations. (Photo courtesy of Personal Creations). Put those grilling tools to use with a Father's Day T-Bone Gift package from Omaha Steaks. What goes better with steak than red wine? Personalize it for dad with a customized label for Josh Cellars wines. I gave my dad a bottle of their Cabernet last year with a customized label - and he loved it! (Photos courtesy of Josh Cellars). Classic shorts and khaki pants from Dockers. Live on "Sonoran Living," KNXV-TV, ABC, Phoenix. 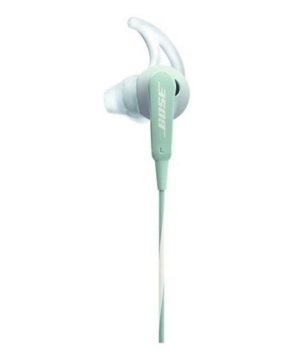 BOSE SoundSport In-Ear Headphones from Target. (Photo courtesy of Bose). Find the latest in accessories, sporting goods, grill gifts and more in eBay's Father's Day gift guide. (Photo courtesy of eBay). Finally, we don't normally think of flowers as a Father's Day gift. 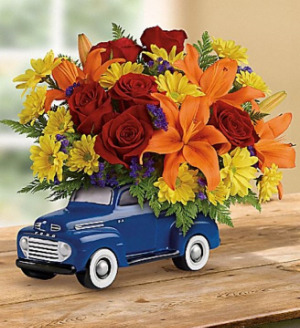 But when they arrive in a replica Vintage Ford Truck from Teleflora - they are a perfect guy gift! (Photo courtesy of Teleflora).